Jim Hellwig known as "The Ultimate Warrior", one of professional wrestling's most celebrated names, has died at the age of 54 today, April 9, 2014, days after being inducted into the World Wrestling Entertainment (WWE) Inc Hall of Fame. 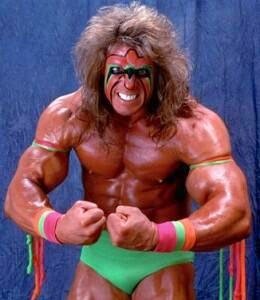 "WWE is shocked and deeply saddened to learn of the passing of one of the most iconic WWE Superstars ever, The Ultimate Warrior. ", WWE published on its website. Jim Hellwig died Tuesday night after collapsing at an Arizona hotel, Time reported. Information regarding the the cause of Hellwig’s death is not yet released by his family. "We are grateful that just days ago, Warrior had the opportunity to take his rightful place in the WWE Hall of Fame and was also able to appear at WrestleMania 30 and Monday Night Raw to address his legions of fans. ", WWE added. Warrior was 54 and is survived by his wife Dana and his two daughters. On Twitter Philippines, fans of Ultimate Warrior send their sincere condolences to Warrior’s family and friends. "Ultimate Warrior" became the top trending topic on Wednesday afternoon. Famous wrestler Hulk Hogan has tweeted: "RIP WARRIOR. only love. HH." WWE Chairman and CEO Vince McMahon also expressed sympathy on Twitter: "We are all so sad that the Ultimate Warrior has passed away. Our heart is with his wife Dana and his two daughters."